Under California law, coffee will now carry one of the same warnings as nicotine products. Is the risk comparable? Humans have been drinking the modern form of coffee since as early as the 13th century. It is estimated that 2.25 billion cups of coffee are consumed each day worldwide. The scientific community has weighed the major risks against the benefits of the world’s favorite caffeinated beverage for decades. For the first time, a Californian judge has ruled that a cancer warning accompany some of the most notable coffee brands in CA, including Starbucks. But what is the actual health risk? 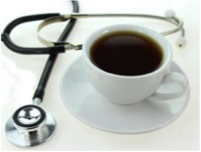 The bottom line: According to science, coffee does not cause cancer. So why the cancer warning? The chemical culprit in coffee is the molecule, acrylamide. 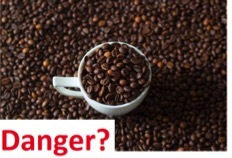 Brewing coffee beans at very high temperatures produces acrylamide as a natural byproduct from sugars and amino acids. It should be noted that cooking many starchy foods has the same results. Acrylamide is not present in raw food such as coffee beans, grain, or potatoes. It is produced naturally when starchy products are heated to very high temperatures to make processed foods such as coffee, toast, and french fries. The levels are too small to affect human health. 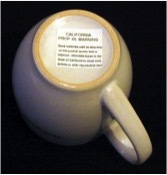 Proposition 65 is a California law that requires businesses to notify their customers if their products contain any of 65 chemicals commonly linked with cancer, birth defects, or other reproductive issues. The Californian judge ruled that customers must be notified of the cancer risk under the California Proposition 65. This state law requires businesses to notify their customers if their products contain any of 65 chemicals commonly linked with cancer, birth defects, or other reproductive issues. The key phrase is “are linked”. It’s true that one main scientific study showed an increase in tumor occurrence in rodents dosed with acrylamide in their water. The catch? That dose was 1,000-10,000 times higher than anyone would ever be exposed to from food or drink. As for humans, a review of more than 1,000 studies found no consistent link between coffee and more than 20 types of cancer and no human study has been performed that suggests acrylamide is even mildly carcinogenic at realistic doses. Most experts agree that the health benefits of coffee drinking far outweigh the almost non-existent risk. This information disconnect is a huge problem in science and society. While most will agree that the public deserves to know if substances they buy expose them to cancer-causing material, the science to back up some of these warnings is often irrelevant or not fully explained. Research groups have conducted multiple large and reproducible studies that point to the health benefits of moderate coffee drinking, including exposure to antioxidants and protection against diseases such as type 2 diabetes and liver cancer. Science to support the benefits of moderate coffee drinking, including reduced risk of multiple diseases, is actually much more reliable than the evidence for it causing cancer. Scientists have performed large and rigorous studies to show that coffee drinkers had a lower risk of stroke than non-coffee drinkers. Other groups have replicated experiments showing a lower risk of type 2 diabetes in coffee drinkers. In 2015, another large study showed that men and women who drank over 3 cups of coffee a day had a 72% lower chance of developing liver cancer – these people were monitored for 11 years. These 3 examples demonstrate 3 of the most important credentials for evaluating clinical science: Is the study large enough? Is it repeatable? Was there follow up? The research on acrylamide’s cancerous effects in humans does not fit the bill, and the research that is out there was performed at doses completely irrelevant to humans. While we should be cautious about what we eat and drink to maintain a healthy diet, we should also be cautious in the face of the many warnings we encounter. I choose not to smoke nicotine products because relevant research has repeatedly proven that certain ingredients promote lung cancer. However, I have no intention of forgoing my morning coffee based on an ingredient present at so low an amount that most scientists agree has no impact on human health. Similar to the boy who cried wolf, we can see in society that the overuse of cancer warnings is promoting a mass “numbness” to them, whether the risk is real or not. If we come to believe that cigarettes to coffee promote cancer equally, it will become very difficult to distinguish truly dangerous toxins from irrelevant ones.